Israeli occupation has constructed 748 settlement units in the occupied West Bank and Jerusalem since the beginning of 2014, Information Centre of Separation Wall and Settlement unveiled. The centre said in a statement that Netanyahu’s government issued plans of building 4640 settlement units in 2014. In Jerusalem, the building will include settlements of Pisgat Zeev, Neve Yaakov, Reches Shuafat, Benjamin, Neveh Pratt, Givat Ze'ev, Harhoma, Gilo, and the Sheikh Jarrah area in Jerusalem, the centre added. 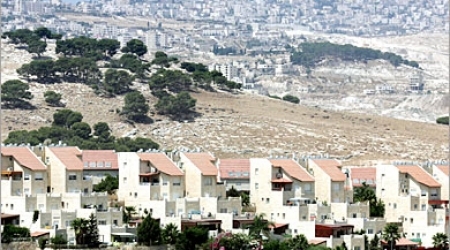 In the West Bank, the building will include settlements: Efrat and Betar Illit in Bethlehem, Beit El and Ofra in Ramallah, Ariel, Emmanuel and Elkana in Salfit, Alfe Menashe and Karni Shomron in Qalqilya, and al-Mawj settlement in Jericho. 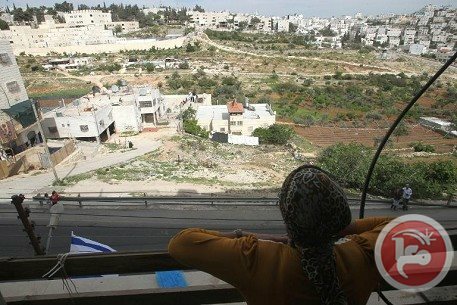 The report said that the first third of this year has witnessed an escalation in the construction and expansion of settlements, despite the U.S brokered negotiations between Israel and the Palestinian Authority. Israeli settlements in the occupied Palestine are the Jewish civilian communities built on lands occupied by Israel during the 1967 Six-Day War. Such settlements currently exist in the West Bank, East Jerusalem, and in the Golan Heights. However, Israeli settlement expansion has continued unabated, despite being condemned by almost all other nations and the UN. 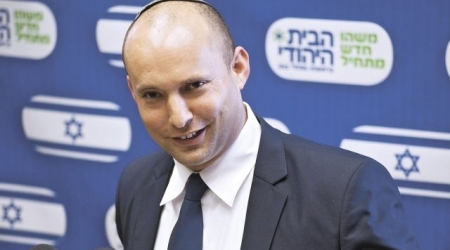 Far-right Zionist economic minister on Sunday implicitly called on Palestinian Authority (PA) President Mahmoud Abbas to quit negotiations if wants. "If Palestinian President Mahmoud Abbas want to go, he can go – we won't stop him," 'The Jewish Home' party-affiliated Naftali Bennett said quoted by Israeli daily Haaretz. In an implied threath to dismantle the PA, Abbas last week asked 'Israel' to "take the keys" and resume responsibility for the areas in the occupied West Bank where the Palestinian Authority operates, if the diplomatic stalemate continued. “You don’t have to send tanks or use force,” Abbas said during a meeting Wednesday with several Israeli MKs in Ramallah. “Just send a junior officer, a second lieutenant, and we’ll give him the keys.” he added. Bennett commented by saying "Abu Mazen (Abbas) encourages terror against Israel as head of the Palestinian Authority and then threatens us with his resignation,"
The Palestinian-Israeli negotiations have faltered after being conditionally extended under a US mediation in July 2013. The nine months term set for the talks to compromise a comprehensive peace deal are about to end with Israel stubbornly setting new conditions in front of the Palestinian negotiators to establish a Palestinian state. The occupation now demands for a recognition of a Jewish state, a sovereignity over the Jordan Valley and undivided capital of Jerusalem, while going on with the colonial settlement construction in the West Bank. The PLO has been considering the option of disbanding the Palestinian Authority in response to the apparent failure of the current round of peace talks with Israel, a Palestinian official said Saturday. 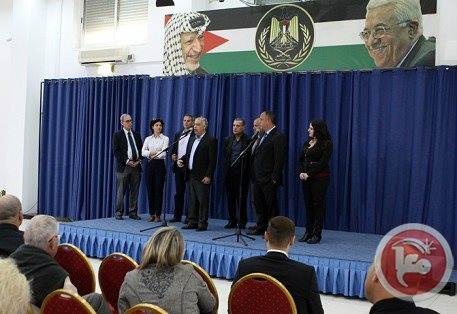 PLO Executive Committee member Hanna Amira told Ma'an that there were "scenarios ... that could lead to the disbandment of the PA."
"The future of the PA has become unclear because when it was established, it was meant as a temporary stage leading to the establishment of a Palestinian state," Amira said. "Thus, if the PA doesn't lead to statehood, things should be reviewed." Amira's comments come after the Israeli daily newspaper Maariv quoted Abbas as threatening to disband the PA.
"I don't need Netanyahu. I don't need a chief of staff. Give me a junior officer or even a lieutenant and I will deliver the PA keys to him. Here you are, take charge and I will leave in an hour," Maariv quoted Abbas as saying. Amira said that Abbas' words reflect the fact that the idea of disbanding the PA is being discussed among PLO committee members. Separately, Amira told Ma'an that the PLO Central Council would hold an important meeting next Saturday. "It will be a decisive session because it comes only two days before the agreed-upon nine-month round of talks (with Israel) comes to an end," he said. Some critics of Israeli-Palestinian negotiations say that 20 years after the Oslo Accords, it is time to dismantle the PA and force Israel to take full responsibility for the territory it occupies. Israel's government has announced the construction of thousands of settler housing units and its army has killed over 60 Palestinians in the West Bank and Gaza since the negotiations began. EU foreign affairs chief Catherine Ashton called on Israel Friday to reverse recent actions, such as announcing new settlements in the occupied West Bank, to bolster faltering peace talks. Ashton viewed with "great concern" an Israeli decision to declare an area near the Gush Etzion settlement south of Bethlehem as state land and approval of a new Jewish settlement in the southern city of Hebron, a statement from her office said. The continued demolition of Palestinian property and the confiscation of EU humanitarian aid were also worrying, Ashton added. Earlier this month, an EU official said Israel had demolished several EU-funded humanitarian housing shelters in a highly sensitive strip of West Bank land near Jerusalem. Ashton also said she "condemns the recent killing of an Israeli man in the West Bank and calls for an immediate end to all acts of violence." All sides should "show utmost restraint and responsibility in order not to jeopardize the current negotiation process," she said. An Israeli official, who requested anonymity, slammed Ashton's comment, pinning the blame for the faltering peace talks on the Palestinians. "It is not surprising that once more Mrs. Ashton is ignoring Palestinian responsibility in the crisis facing the discussions," the official said. "Although the Palestinians clearly and crudely violated the agreements by unilaterally addressing the United Nations, Mrs Ashton did not see the need to react to that." Under an agreement brokered by the United States for the resumption of the talks last July, Israel committed to releasing 104 prisoners held since before the 1993 Oslo autonomy accords in four batches. But in March it cancelled the release of the last group of 26, triggering the ire of Palestinian president Mahmoud Abbas who retaliated by seeking accession to 15 international treaties and conventions. The crisis emerged just a month before the deadline of the talks on April 29 and as Washington was striving to extend the negotiations beyond that date. The Hebrew radio said on Friday that the Palestinian and Israeli negotiators would meet this week after the end of the Jewish holidays to discuss the faltering peace process and the ways to revive it. 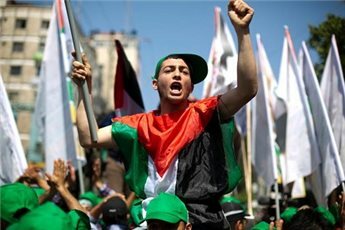 Delegations from the Palestinian Authority and the Israeli government had met on Thursday night in the presence of US special envoy Martin Indyk in this regard, but the meeting was not successful because of the Palestinian insistence on Israel's release of the fourth batch of Palestinian prisoners, according to the Hebrew radio. The Israeli minister of public security made a recommendation a few days ago to the Israeli premier Benjamin Netanyahu on exiling four prisoners of this batch holding Israeli blue IDs to the Gaza Strip or another country. However, Netanyahu still refuses to make any kind of concession regarding the release of the fourth group of prisoners at the pretext of protecting Israel's security. The US has intensified its shuttle diplomacy lately to save the peace process through sponsoring meetings between the Palestinians and Israelis and push both parties to resume the negotiations. Palestinian and Israeli negotiators met last night in occupied Jerusalem in the presence of US special envoy Martin Indyk in an attempt to revive the faltering peace talks, the Hebrew radio said. No further details about the outcome of the meeting has been reported, but a Palestinian official source described the talks in this regard as very difficult. Indyk conducted recently consultations in Washington with secretary of state John Kerry about the future of the peace process between the Palestinians and Israelis. A spokeswoman for the state department Jen Psaki on Tuesday evening said that the two parties have to agree on extending the negotiations past April 29. Israeli and Palestinian negotiators meeting US envoy Martin Indyk to try to find a way to extend faltering peace talks have failed to reach agreement, a Palestinian source told AFP. The meeting began in the late afternoon on Thursday in a Jerusalem hotel but ended after five hours of "very difficult discussions", the source said. "The gap (between the parties) is still wide. There was no breakthrough," added the Palestinian source. Indyk is now expected to meet negotiators again on Friday, but he will talk to the Israeli and Palestinian sides separately. Israeli and Palestinian negotiators had met on their own on Sunday and held a three-way meeting with Indyk a week ago in last-ditch efforts to save the stagnant peace process launched by US Secretary of State John Kerry in July for a period of nine months. State Department spokeswoman Jennifer Psaki said this week that Israeli and Palestinian negotiators are striving to reach an agreement to extend the talks beyond their April 29 deadline. Washington is pushing for an extension but the negotiations hit an impasse two weeks ago when Israel refused to release a group of Palestinian prisoners as agreed at last year's launch of the talks. Under the agreement, Israel had committed to freeing 104 prisoners held since before the 1993 Oslo autonomy accords in four groups, but it cancelled the release of the last group of 26. Among them are 14 Palestinian-Israelis which Israel is refusing to set free. The PLO responded by seeking accession to several international treaties. Thursday's new round of talks came as Palestinians marked Prisoners Day with rallies across the West Bank and Gaza Strip in solidarity with thousands of their jailed compatriots. PLOr Saeb Erakat added his voice to the protesters on Thursday by calling anew on Israel to free the last batch of prisoners. And prisoners minister Issa Qaraqe said on Voice of Palestine Radio that signing up to international treaties, including the Fourth Geneva Convention, could pave the way to prisoners' rights. Despite the crisis, President Mahmoud Abbas's spokesman Nabil Abu Rudeina stressed the talks could be extended if Israel released the last batch of prisoners. 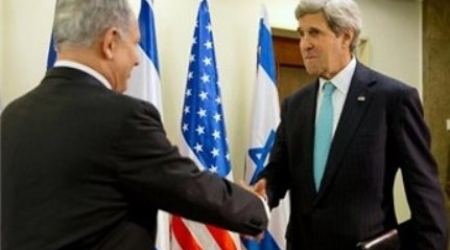 "What's needed now is Israel's commitment on issues that could lead to an extension of talks. If they commit, we're ready," he said on Wednesday. And Abbas told Israeli opposition MKs visiting him in the West Bank administrative center of Ramallah he would insist that the 14 Palestinian-Israelis were among those released, Haaretz newspaper reported. It said that if talks were extended, Abbas would want the first three months to be "devoted to a serious discussion of borders". Israeli and Palestinian negotiators were to hold a meeting Thursday with US envoy Martin Indyk, in a bid to find a way to extend faltering peace talks. The meeting had been put off by a day, with Israel implying the delay was due to the killing of an Israeli police officer in the West Bank. 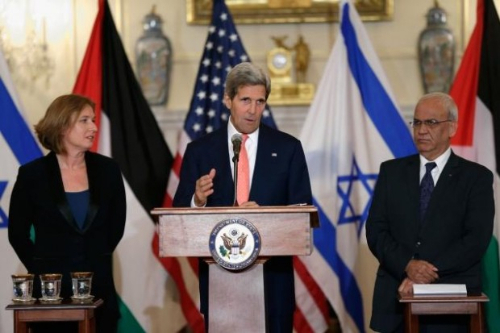 But the Palestinians said it was to enable the participation of US envoy Martin Indyk. Israeli and Palestinian negotiators met on their own on Sunday and held a three-way meeting with Indyk a week ago, in last-ditch efforts to save the stagnant peace process, launched by US Secretary of State John Kerry in July for a period of nine months. Washington was pushing for an extension of talks beyond their April 29 deadline, but negotiations hit an impasse two weeks ago when Israel refused to release a group of Palestinian prisoners as agreed at the launch of talks. The Palestinians retaliated by seeking accession to several international treaties. Despite the crisis, President Mahmoud Abbas's spokesman Nabil Abu Rudeina stressed the talks could be extended if Israel released the 26 prisoners, the last batch of a total of 104 veteran prisoners Israel agreed to free. And Abbas told Israeli opposition MKs visiting him in Ramallah he would insist that 14 Palestinian-Israelis were among those released, according to Haaretz newspaper. The report said if talks were extended, Abbas would want the first three months to be "devoted to a serious discussion of borders." The peace process has since last week suffered a new blow when Israel said it would freeze the transfer of duties it collects on the Palestinians' behalf, in retaliation for their diplomatic action against Israel at the United Nations. Most Palestinian political factions, with the exception of Fatah, held demonstrations in July last year to protest a return to negotiations with Israel. Following a one-day postponement, a meeting between the Israeli and Palestinian negotiators, in the presence of the US envoy Martin Indyk, is scheduled to take place in Jerusalem on Thursday. The talks are aimed at coming up with a formula that would enable a continuation of the talks past their April 29 deadline. Communications between Palestinian and Israeli officials have reached an all time low after Israeli Prime Minister Benjamin Netanyahu imposed sanctions on the PA last week, a Palestinian security official said Thursday. "Relations are at the lowest level politically, economically and at a security level because of their (Israel's) decisions to disavow all commitments they pledged," PA security spokesman Adnan Dmeiri said. Last week, Israel said it would freeze the transfer of duties it collects on the PA's behalf in retaliation for diplomatic action against Israel at the United Nations. 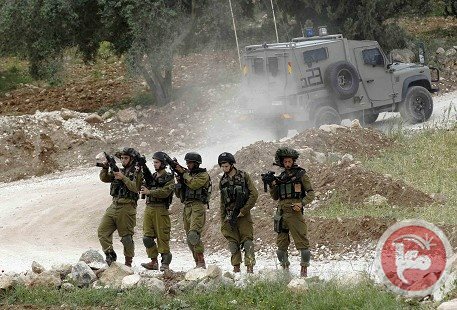 Israel unilaterally cut off contact with the PA "in violation of all agreements", Dmeiri said. The security spokesman also criticized Israel over accusations that the Palestinian leadership was responsible for the killing of a settler this week. "They blame us for everything even if it was a natural disaster. The Israelis control Area C and so putting the blame on us is a sort of racism." Settler Baruch Mizrahi, 47, was shot dead while driving with his family southwest of Idhna, a village outside Hebron. Peace talks between the PLO and Israel will continue until their deadline on April 29, President Abbas' spokesman said Wednesday. Nabil Abu Rudeineh told a press conference that talks are ongoing, despite recent setbacks, and will "discuss the principles that can lead to the extension of negotiations." Abu Rudeineh made the comments following a meeting between Abbas and Israeli Knesset members in Ramallah, adding that such meetings prove there is "a glimmer of hope" to achieve peace by showing that there are people in the Israeli community that want peace and the two state solution. The release of a final group of pre-Oslo Palestinian prisoners is not a condition but a demand, he added. 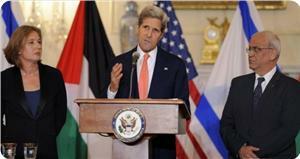 Earlier, a meeting between Israeli and Palestinian peace negotiators scheduled for Wednesday was postponed. Palestinian officials told AFP the meeting was being postponed to Thursday to allow for the arrival of US mediator Martin Indyk to the region. A meeting between Israeli and Palestinian peace negotiators scheduled for Wednesday has been postponed, an Israeli official said, days after a fatal shooting Israeli Prime Minister Benjamin Netanyahu blamed on Palestinian leaders. 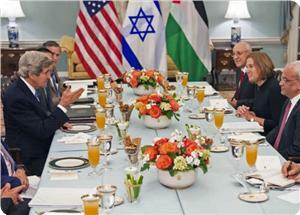 "The meeting that was planned for tonight between Israeli and Palestinian negotiating teams will not be taking place. It's being postponed," the Israeli official told AFP on condition of anonymity. The official declined to explain the decision, but said Monday's killing of an Israeli police officer in the West Bank "was the direct result of ongoing incitement and glorification of terrorism that we see in the official Palestinian media and education system." 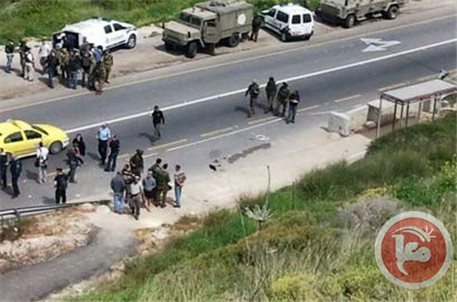 On Monday evening, 47-year-old settler Baruch Mizrahi, a high-ranking officer in the intelligence division, was shot dead while driving with his family southwest of Idhna, a village outside Hebron in the occupied West Bank. Netanyahu said the "assassination is the result of the incitement to hatred by Palestinian Authority leaders who continue to peddle hate-filled material against Israel." Israeli and Palestinian negotiators met on Sunday, and held a trilateral meeting with Indyk on Thursday in a bid to try and save a stagnant peace process from crumbling. Israeli and Palestinian negotiators are hammering out a way to extend their faltering peace talks beyond an April 29 deadline, a US official said Tuesday, refuting calls from a leading daily to call it quits. More talks between the two sides will be held on Wednesday, State Department spokeswoman Jen Psaki said, although it was not immediately clear if US lead negotiator Martin Indyk would take part. "The parties are working right now on an agreement to extend the negotiations, and that means extending the negotiations past April 29," Psaki told reporters. "There are naturally a range of issues being discussed. There are steps that both parties would need to take in order to improve the conditions for peace but the parties remain highly engaged," she said. 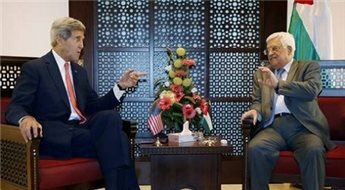 The peace talks, which were kickstarted by US Secretary of State John Kerry in July after a three-year hiatus, hit a major crisis this month when both sides took what Washington has called unhelpful steps. The PLO launched moves to join 15 UN treaties and bodies, while Israel refused to release the last tranche of Palestinian prisoners and unveiled plans for 700 more settler homes in east Jerusalem. "Both parties tell us they want negotiations to continue and they're searching for a path to do just that," Psaki told reporters. She dismissed a call from the editorial board of The New York Times, which headlined an opinion piece late Monday "In the Middle East, Time to Move on" and argued that neither side had shown they were serious about making peace. "It is time for the administration to lay down the principles it believes must undergird a two-state solution, should Israelis and Palestinians ever decide to make peace," the respected daily wrote. "Then President Obama and Secretary of State John Kerry should move on and devote their attention to other major international challenges like Ukraine." Psaki said she had read the editorial but did not agree with the notion. "Neither do the negotiators. Neither do the parties. Neither does the secretary," she said. "The Israeli and the Palestinian people deserve a two-state solution where parties are living side by side and they have the economic opportunity and the security that they deserve," Psaki added. "And that's why the parties remain committed and why they're working so hard on extending negotiations."